Twenty-Fourteen was a very stressful year, and as a result, my writing output was not what I’d wanted it to be. The most significant event was a death in my family (which up to now I still cannot talk about for legal reasons). I was very close to this person who died and the loss was very hard to bear. On top of family and work issues, 2014 also gave me my first experience being badly trolled. Since I’d already talked about that on another post, I won’t repeat it here. How my Sister Leonora Brought Home a Wife , my off-planet Science Fiction tribute to pioneer Filipino Short Story writer Manuel E. Arguilla, was published in the inaugural issue of Lakeside Circus last March 2014 (Editor: Carrie Cuinn). Entanglement , a twisted love story set in my old school at Seguin, Texas, came out in the second volume of LONTAR: The Journal of Southeast Asian Speculative Fiction (Editor: Jason Erik Lundberg, Math Paper Press) in May 2014 . This story was set in the same universe as “Big Enough for the Entire Universe ” from Fish Eats Lion. I m d 1 in 10 , my experimental Jejemon near-future story, was published in the July 2014 issue of The Future Fire (Editor: Djibril al-Ayad). “Jejemon” is a Filipino English-Tagalog argot that developed from the use of Instant Messaging and SMS. This is probably the most challenging work I’ve ever written to date. Like “Finnegan’s Wake”, it may be best read aloud. 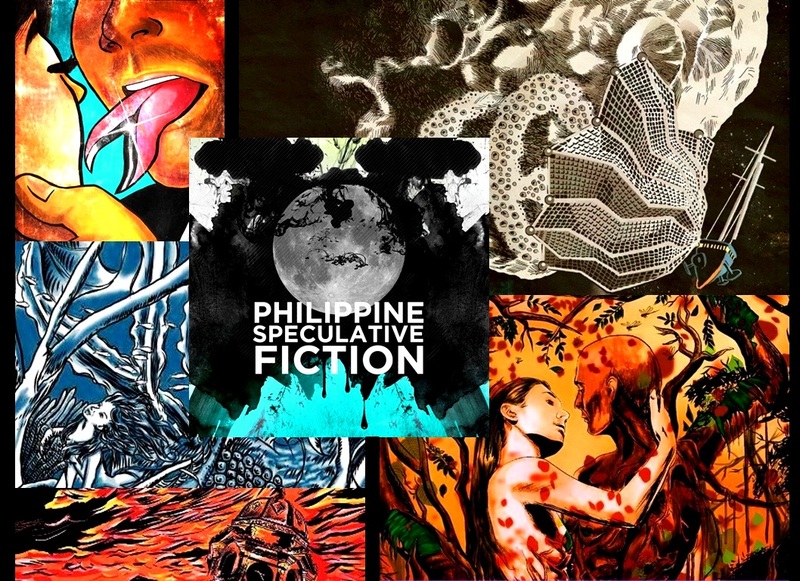 Panopticon , a Filipino cyberpunk revenge story, appeared in Philippine Speculative Fiction Volume 9 in October 2014 (Editors: Andrew Drilon and Charles Tan). This marked my second appearance in the venerable PSF series. An Excerpt from the Philippine Journal of Archaeology (04 October, 1916), a Lovecraftian fantasy story told in footnotes, was featured in Likhaan Journal 8 by the U.P. 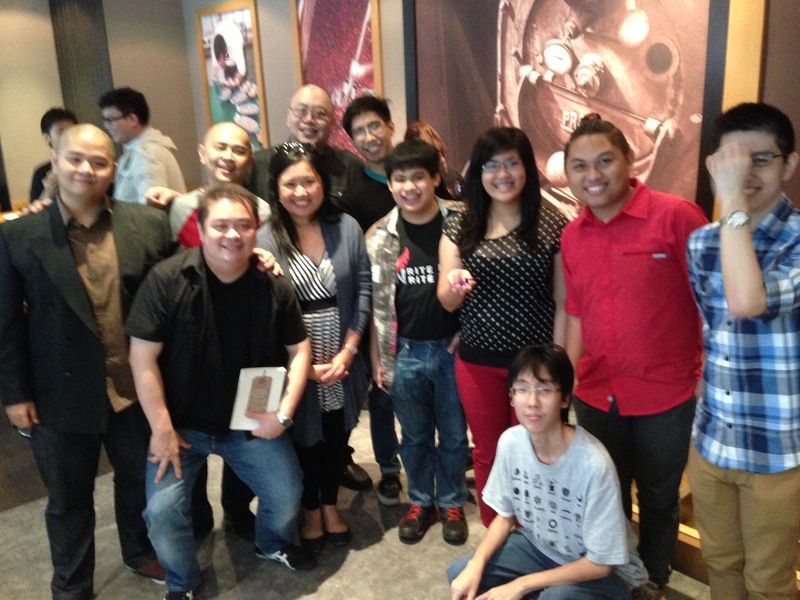 Institute of Creative Writing last December 2014 (Editor: Gabriela Lee). This is another experimental work, with the story mostly happening in the footnotes of a faux scientific article. 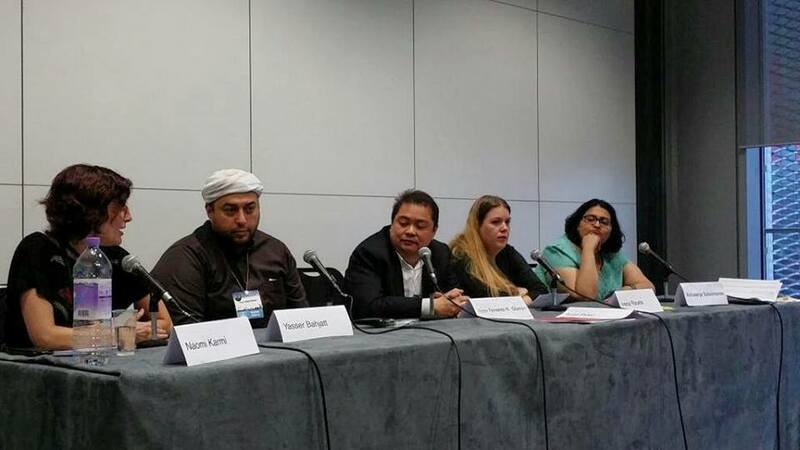 Somewhere along the way I also got to talk about Filipino and Singaporean Speculative Fiction on two panels at the World Science Fiction Convention (Loncon 3) last August. 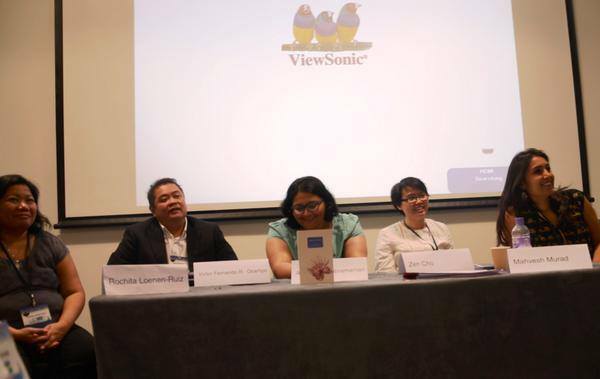 The first one was “The World at Worldcon: SF/F in South and South-East Asia” with Zen Cho, Rochita Loenen-Ruiz, Aishwarya Subramanian, and moderated by the always fantastic Mahvesh Murad. The second was “Saving the World. All of It.” regarding how the concept of an Apocalypse is viewed by non-Western cinematic traditions with Aishwarya Subramanian, Engineer Yasser Bahjatt, Irena Raseta and Naomi Karmi. This time I got to be the moderator, my first time to do so at a con. 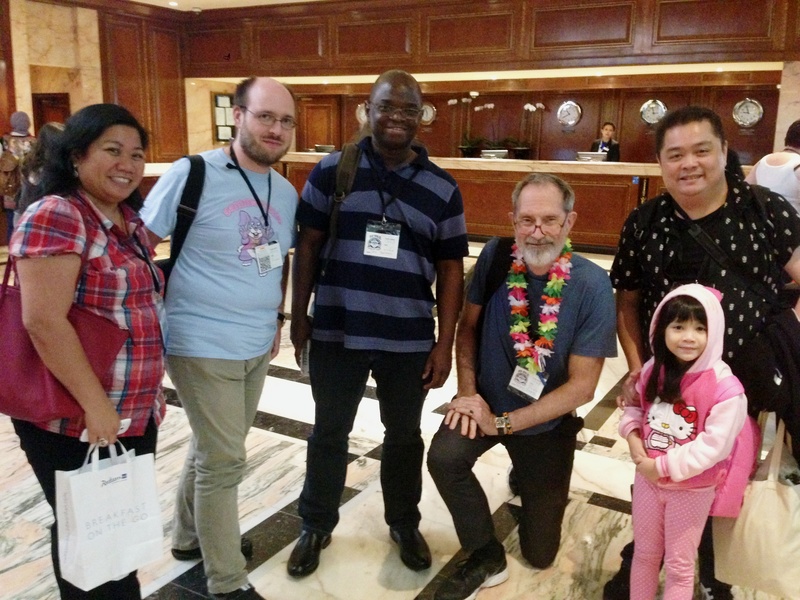 My family and I also got to hang out with fans, fellow writers and many SFF luminaries at the Hugo Awards ceremony. 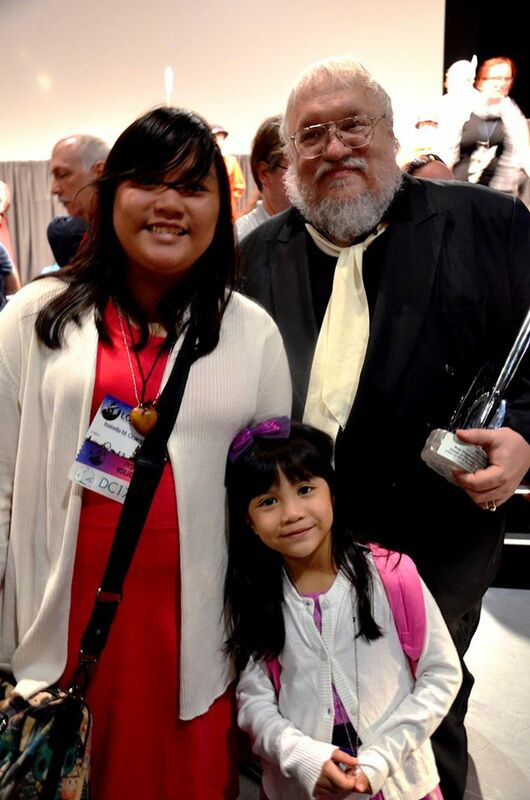 We even got to meet George RR Martin himself, as well as GOT show-runners D.B. 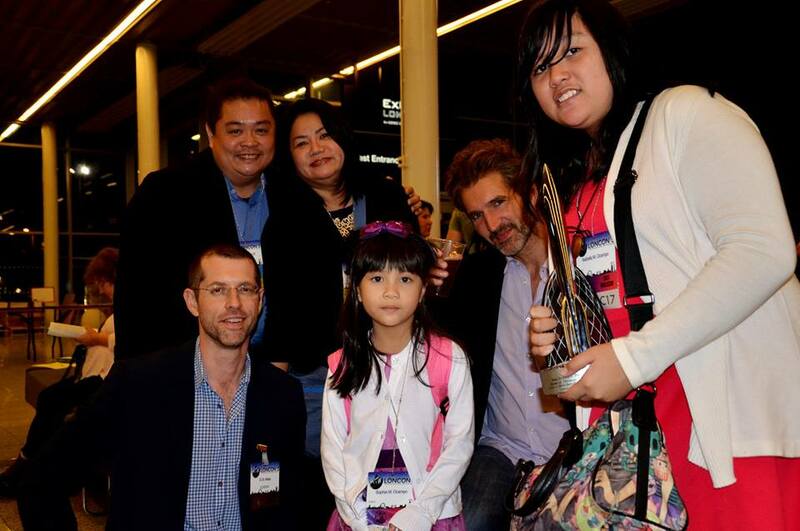 Weiss and David Benioff — who graciously posed with us after winning their Hugo for “The Rains of Castamere”. However the best part of 2014 was finally getting to meet many fellow authors in person, whether at Loncon, Nine Worlds or the various book launches I had attended. This year looks to be even busier as a result of the fall-out from 2014. My writing goal this year is simple – to resume writing my novel and to get at least two stories published. If I manage to do this, I’ll be a happy man. Let me end this post with a bit of trivia. Many Filipinos ran around wishing family and friends “Manigong Bagong Taon” for 2015. Most assumed this greeting meant have “a prosperous new year”. However, strictly speaking, this isn’t correct. The root word for “Manigong” is the old Tagalog word “nigo” which is synonymous with “asinta”, or in English ” to aim/to plan”. When we wish someone “Manigong Bagong Taon” we are actually saying “May you achieve what you aim for this year“. For me, this is a really wonderful thing to say. Manigong Bagong Taon everyone! Thanks for reading.